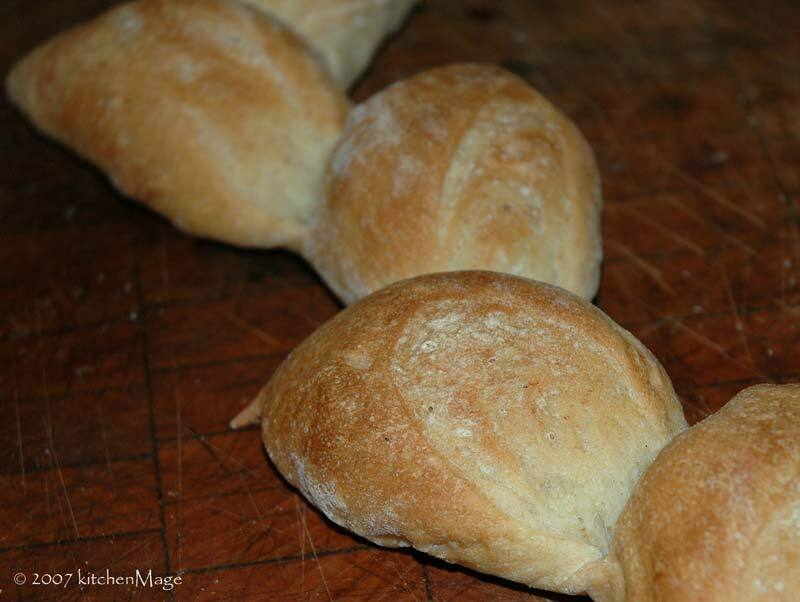 With the holidays coming up, dinner rolls take a step forward over at A Year in Bread. 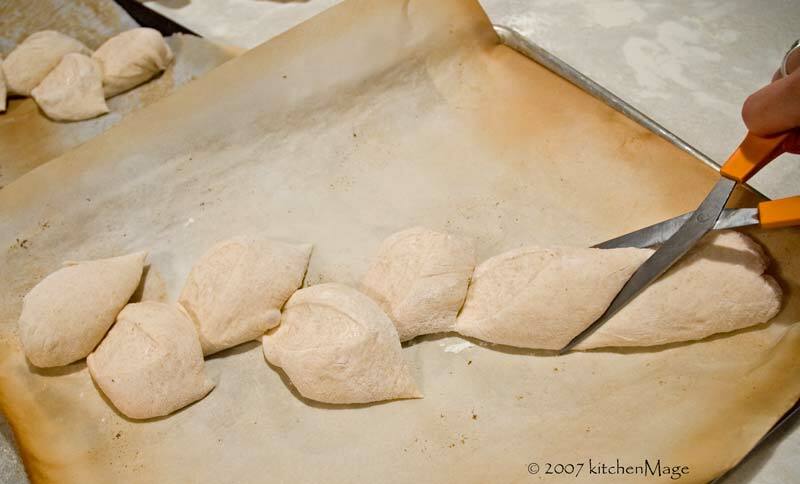 Susan, Kevin and I have posted recipes for three different takes on rolls suitable for your holiday table. We've got three tempting options for your holiday table, soup bowl or your Friday turkey sandwich. Farmgirl Susan's Carrot Herb Rolls are absolutely gorgeous! Full of carrots, parsley, fresh rosemary and thyme, this recipe is from a new book that Susan got her hands on (and about which she has been taunting me) Bread:Artisan Breads from Baguettes and Bagels to Focaccia and Brioche. It's going on my seemingly endless wish list! 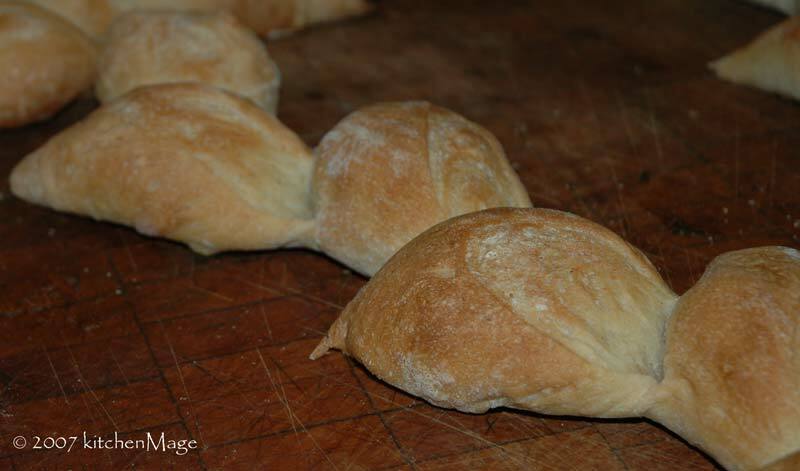 kitchenMage's Rosemary Fans are a simple variation on a baguette recipe but the rolls are a big payoff for a little extra effort. 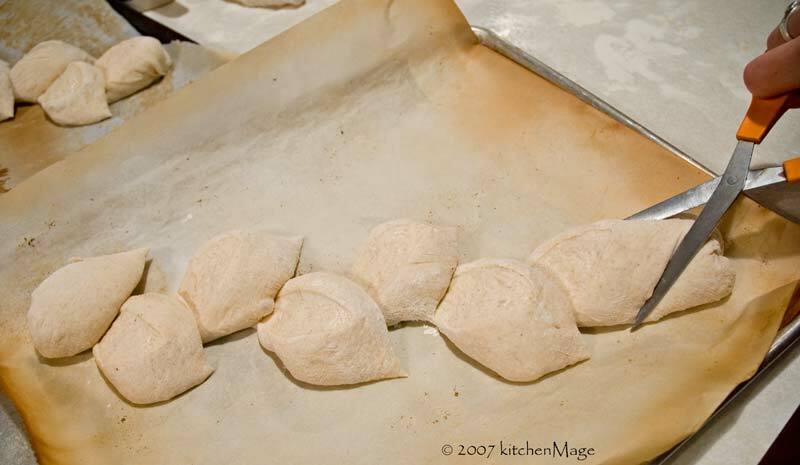 The dough is very forgiving and shaping the rolls is an imprecise science at best so it is a great recipe to let the kids help with. 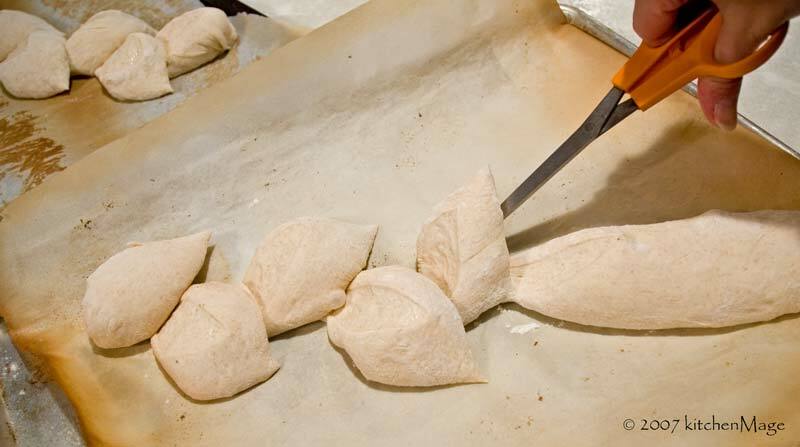 Another option when individual rolls are called for is an epi, a traditional shape that represents a sheaf of wheat. While it is technically still a loaf, they have almost as much delightfully crust as a roll and individual sections break off easily in a perfect union of form and function. Epis are also surprisingly easy to make. 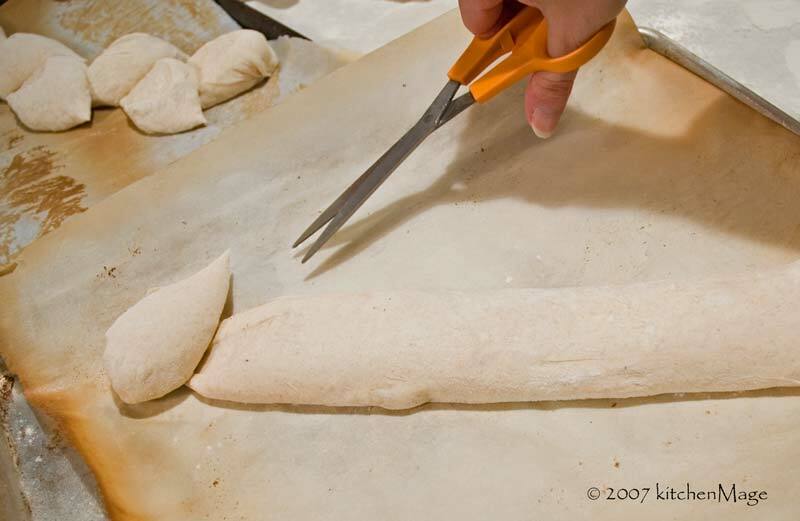 You start with a baguette shape and make a series of cuts with scissors. Since the implement of destruction is scissors rather than a knife, small people can help too. Speaking of children, you can start with a mini-baguette to make a child-size epi so the monstrrrs at the table get the fun of ripping off their own piece. Epis are a shape as opposed to a dough recipe, although they are traditionally made with Pain de Campagne or something similar. I either use that or the same reliable polish baguette that I used for the Rosemary Fans. Shaping an epi looks like an intimidating thing but it is actually rather simple. 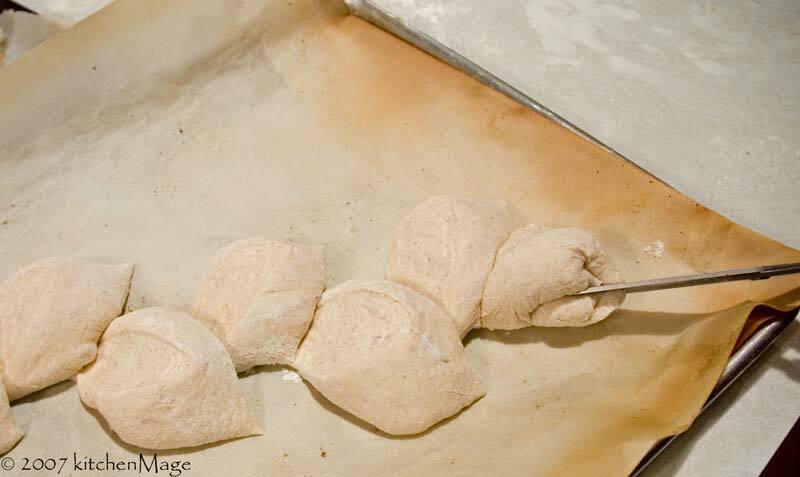 Start by shaping a baguette and placing it on a parchment covered baking sheet to rise. 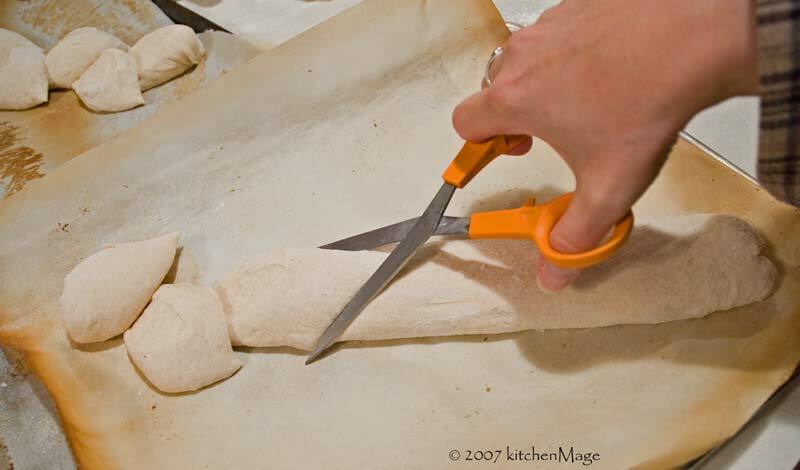 When the loaf is fully risen, grab a clean pair of scissors and follow along with the pictures. 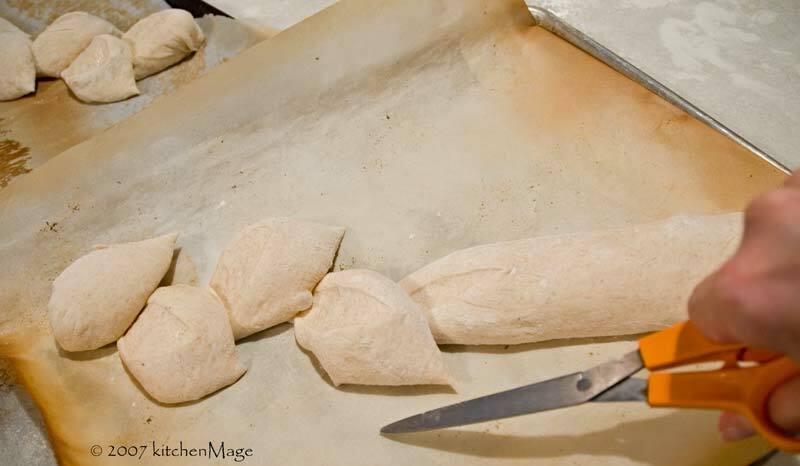 Start about 3 inches from one end of the loaf, cut into the dough at an angle. 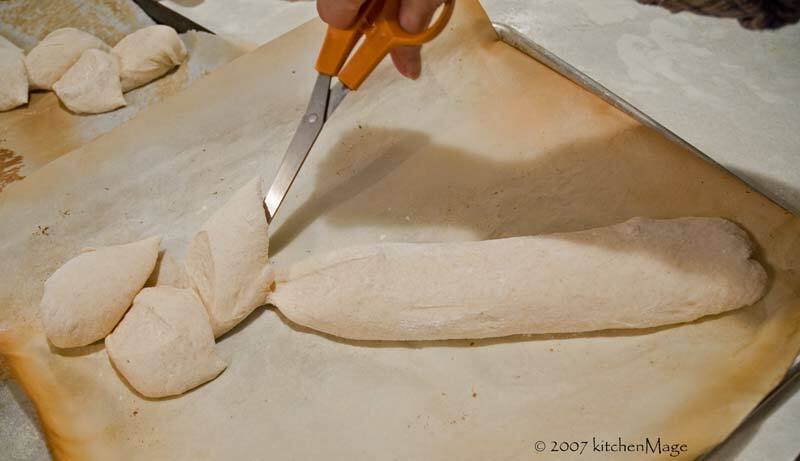 Once the scissor blades are closed, swing the scissors to one side of the loaf and then slip them out from under the dough. 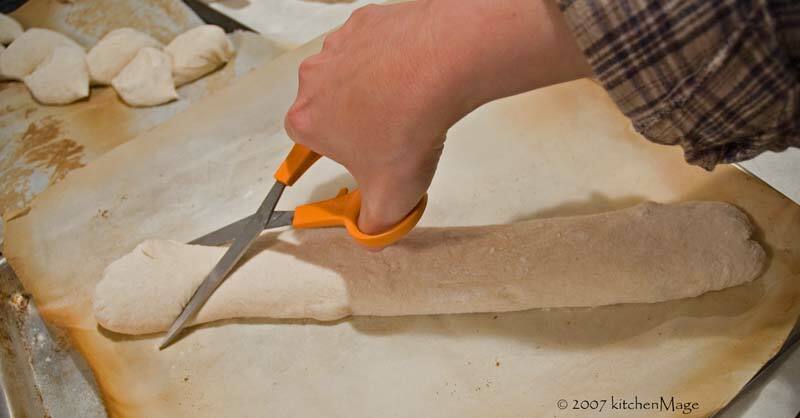 Move down a few inches, repeat the cut, pulling the cut piece of dough in the other direction. Make another cut and pull the bread to the same side as the first piece. Alternate sides as you continue to cut the dough. Repeat this until you get to the end of the loaf. 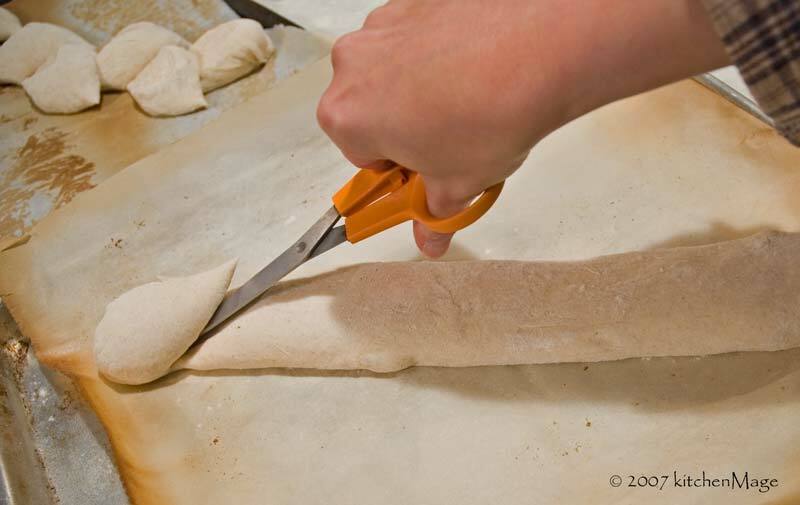 Cuts should go almost through the loaf, just leaving a little bit attached. Snip, pull, repeat. See? This is a piece of cake...errr, bread. I sometimes make a final cut on the end to add in a bit of a point. It's certainly not necessary. When you have finished cutting the bread into an epi, bake per the recipe you used for the dough. You can slide the loaf onto a hot baking stone if you are feeling a bit crazy but after losing one epi as the unstable pieces shifted, I generally keep it on the baking sheet. 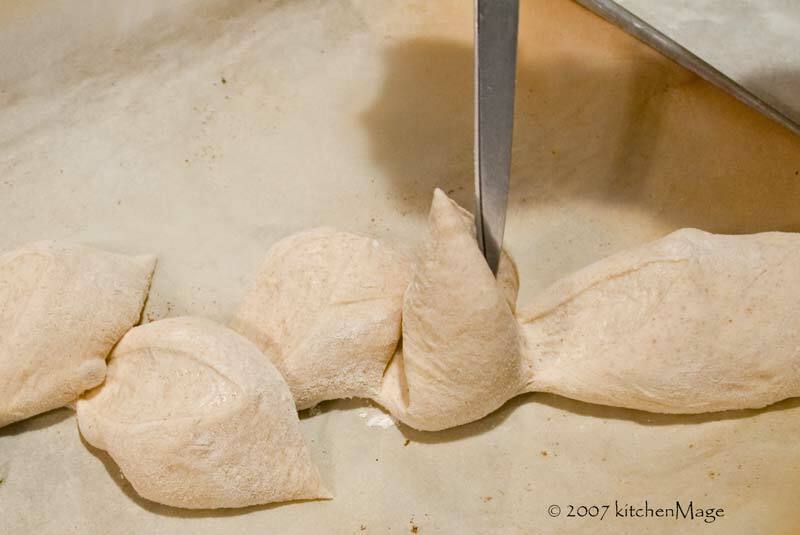 Note: The same technique can be used on dough that has been shaped into a circle to create a wreath.